"Sintetizzatrice" is the first recorded document of the newly founded collaboration between Spectrum Spools veteran Donato Dozzy and female vocalist Anna Caragnano. Though his solo work, and in his collaboration with Giuseppe Tilleci as Voices from the Lake, Dozzy has achieved some of the most remarkable vistas contemporary electronic music has seen in the last decade. By removing himself from his areas of mastery to shift his focus on the voice, he has achieved a new peak. "Sintetizzatrice" is the first work on Spectrum Spools featuring Anna Caragnano, a vocalist based in Rome. Over two stunning sides of vinyl, Dozzy works exclusively with the voice of Caragnano, with no other instruments. Heavy layering and effects processes are used to display an astoundingly versatile voice-centric vocabulary. Rarely can a record morph through different styles from R&B to Kosmische, through traditional Italian folk music to Fluxus styles and traditional Chamber Choir with no additional instrumentation. Just a singular, beautiful, voice. The results are simply phenomenal. With the opening, "Introduzione", an immeasurable cosmic weight arrives and remains through the duration of the album. "Star Cloud" ascends the album with melancholy extended drones that evaporate concepts like "time" and "being", rendering basic human perceptions void all the way through the sides closing "Parallelo". The flipside opener "Parola", dances around the stereo field with dazing rhythms and melodies, while "Festa (A Mottola) is an homage to the traditional music found in the rural region where concidentally, both Dozzy's mother and Caragnano were born and raised. The albums closing pieces "Love Without Sound" and "Conclusione" hit hard in a way where words do no justice. By fearlessly entering uncharted territories, both Dozzy and Caragnano have respectively made a collaboration which is truly experimental. 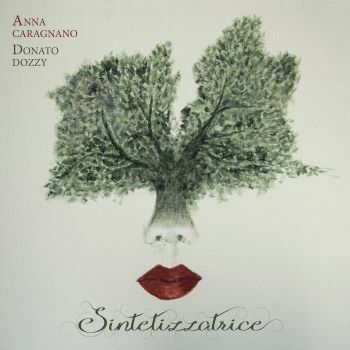 "Sintetizzatrice" is a grand debut for Anna Caragnano, and a fantastic twist for those following the work of Donato Dozzy. Transfer to tape by Pietro Micioni, Angelo Compagnoni and Massimo Zuccaroli at Village Studio in Rome.